We believe in quality design, attention to detail, and a positive working relationship. 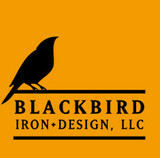 We are Todd Harrison and Jim Schnauss, craftsmen with over 30 years combined experience creating custom metalwork. Railings, gates, fences, doors, stairs, furniture, signs, art installations, and more. We work with a variety of techniques and offer a range of finishes. 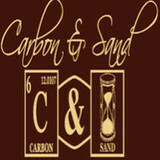 Our products are built to last. We work with home owners, architects, designers, contractors, and landscape architects to create well crafted metalwork for any location or need. We run a small shop in Seattle's Interbay neighborhood. We take pride in providing you with a positive working relationship and a product you love. Western Pacific Fence is a full service fencing company specializing in high quality fencing materials installed by expert craftsmen. When you want to install a new privacy, security fence, or decorative fence call on the experts at Western Pacific Fence. When you choose a new fence, you want to make sure it's built to last. That's why we only use the best materials for your fence! Contact us today if you're looking for a new fence for your home. Adding a new fence can increase your security and enhance the value of your home. Since 1980, Automated Gates and Equipment has been in the business of creating customized beauty and security for residential and commercial clients. From privacy gates to high security systems, you can see our experience and expertise in the finish details and product durability. With Automated Gates and Equipment there are no pre-fabricated or packaged solutions. Your gate or fence is always custom built and carefully installed to fit your exact needs. 24-hour service and maintenance are available, so you never have to worry about security or access problems. Bamboo design and construction specialists Bamboo Builders Northwest is the Pacific Northwest's premier source for elegant bamboo design and construction. Responding to the need for artistry combined with environmental responsibility, Jonathan Stuart and D'Arcy Gholston formed the company in 1996. Their well-deserved reputation rests on quality and variety: traditional Japanese bamboo gates and bamboo fences, interior bamboo flooring, and contemporary furniture, hand -built in the USA from bamboo hardwoods and bamboo laminates. In addition, they harvest rare poles from their private bamboo gardens to fashion curving handrails supported with hand-forged steel brackets. The work of these bamboosmiths has been featured in This Old House, Pacific Northwest Magazine, and Seattle Homes and Lifestyles and can be seen across the region from the Japanese Garden in the Washington Park Arboretum to private residences of the San Juan Islands. Among commissioned artworks is the sculptural installation at the corporate offices of Anderson Consulting in downtown Seattle. Their displays have been well received at The Northwest Flower and Garden Show, and in September 2003 they were collaborators in the only gold medal winning displays in the prestigious Seattle Interiors Show with their Bamboo and Steel Room Divider. In company with environmentally conscious architects, Bamboo Builders will continue to find ways to marry bamboo with reclaimed and recycled materials to create arresting and original designs. Highly acclaimed for strength and beauty in Asia for centuries, bamboo is finally coming into its own due in part to the skill and passion of these two artists. We are a premier designer and installer of custom driveway gates. HelmCo is a local veteran owned residential fence company that operates in the Seattle area. We are licensed, bonded and insured and provide wood fences built to the highest quality. Our goal is to deliver the best customer satisfaction and workmanship for your fence project. We would love to work with you so ask us for a free estimate today. For more information, please visit our website at www.helmcofences.com. Reliable, full service restoration and repair company that provides safe and inviting fireplace and patio designs for the Puget Sound Area. We are 1 stop shopping for all your fireplace needs! We have more than twenty years of trusted experience in the Landscaping/Maintenance industry. At Heritage Landscaping we utilize all the latest landscap management resources available to provide our customers with the highest quality. Why use Heritage Landscaping Fence and Decks? As you are aware, there are literally dozens of landscape companies here in the Kitsap County. So what sets us apart from the others? Three simple things: Honesty, Reliability, and Integrity. Heritage Landscaping is a reliable and professional landscape service, committed to making the small changes or major improvements in your landscape that you have always dreamed of. From beginning to end we invite you to brainstorm with us to create your ideal design, or you can simply let our professionals create something spectacular for you. We are very customer focused! We enjoy our work and believe in keeping our promises of quality work, on time schedules and being within budget. We respect our customers, our employees and our key suppliers. Most of all we want you to be happy with your lanscapie investment. DH Fence Pros was founded in West Seattle in 2013 as a subsidiary branch of the general contracting firm DH Land Pros. DH Fence Pros owner, Dan Hignite, and his experienced staff approach each job with pride in their process, a commitment to excellence in their work, open and clear lines of communication with the customer, and a respect for your property, your time, and your commitment to us. Our invoice billing process is all done electronically for a hassle free, seamless customer experience. Customer satisfaction is our top priority, so you know we will communicate with you through the entire fence installation process. We will work with you to design the perfect fence for your home or business. <a rel="nofollow" target="_blank" href="http://paragonfence.com">http://paragonfence.com</a> <a rel="nofollow" target="_blank" href="https://www.facebook.com/ParagonFence">https://www.facebook.com/ParagonFence</a> Paragon is a quality driven company which holds customer satisfaction as the highest priority. Paragon specializes in fencing, gates, arbor and trellis, services. We are a Total Quality Company: to all involved and all aspects of every project, quality and detail are held to a higher mark. Locally owned and operated, Contour Fence Company has been a leading fence contractor since 1984. We earned this reputation by ensuring that each of our customers receives the highest quality of product and the most courteous, professional services available. We construct every fence with the finest materials that are both durable and esthetically pleasing; cedar, ornamental iron, chain link, vinyl coated chain link and PVC ranch fencing. We are proud to offer traditional northwest lumber, mill-direct with natural grain unsurfaced full dimensional lumber. Each installation is performed by our courteous, professional craftsmen, ensuring that your fence will be a lasting thing of beauty. We are so confident in the quality of our product that we offer a full 3 year warranty on all of our fences. As designers and builders, Contour Fence Company builds fences for every imaginable need-residential, sub-divisions for developers, state projects, tennis courts, commercial projects and even small fence repair. No matter what size job you have, Contour Fence puts pride of workmanship into every fence we build. Our service area is quite extensive and includes Bellevue, Kirkland, Lynnwood, Medina and Seattle. Whether you need to secure your yard or just add some decorative flair to your landscape, fences are an integral part of a home’s exterior and curb appeal. Given their security and aesthetic importance, they need to be designed, installed and repaired correctly — luckily, fence contractors in Kirkland, WA can help. From devising custom fence designs to general fence repair and maintenance, these pros will have your fencing looking fancy in no time! Your Kirkland, WA fence installation and repair professional will work with you to create your ideal fence. Find a fence contractor in Kirkland, WA on Houzz. 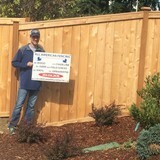 Narrow your search in the Professionals section of the website to Kirkland, WA fence contractors. 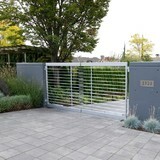 You can also look through Kirkland, WA photos to find examples of fencing and gates that you like, then contact the professional who worked on them.